We, as consumers, love our mobile devices. So much, in fact, that TechCrunch reported that the average person spends a little over 5 hours each day looking at their mobile device, mostly using Mobile Apps. Be it a tablet or smartphone, it’s clear that we love accessing our favorite content on the go. And perhaps nothing hammers that home quite like our love of apps. That’s exactly why so many brands are creating mobile apps to advertise their business. Think it could be the right solution for you? Read on to discover four of our favorite advantages of mobile apps that could make your cafe the hottest local business in your area. If you’re somehow not convinced of the utility mobile apps offer, think about your own day to day usage. There’s a high likelihood that you engage with at least a few apps each day. Now think about why you use them. Chances are you understand how convenient they are thanks to their fast, snappy design and short response time. Your customers appreciate these facets, too, which is exactly why 25% of consumers have at least one restaurant app on their phone at any given time. Working at a cafe, you can expect a lot of your customers to be busy, on the go people. Therefore they’ll need a quick, convenient way to get your delicious food whenever and wherever they want. Including mobile ordering in your app is a win-win scenario for both business owner and consumer. They’ll have three options to get your great food (delivery, curbside pickup, and in-store) and you won’t have to split the costs with a third-party app. Take a second to scroll through your phone for a second. Notice how many apps you downloaded that you completely forgot about. Yet they’re taking up free real estate on your digital screen, serving as constant reminders of the brand in question. This is far and away one of the least considered benefits of mobile apps, but that doesn’t make it any less powerful. The very act of a customer having your cafe’s logo on their phone’s screen is a passive form of advertising. If you’re still not convinced of the power of mobile apps, think about the prevalence of mobile technology in today’s society. Now think about how that compares to, say, a decade ago. Sure, smartphones and tablets were available, but the barrier of entry was so much higher back then. Now, any consumer can walk into a Best Buy or a Target and snag a tablet for an affordable price. And that popularity is only going to increase in the coming years. Make no mistake, smartphones and tablets aren’t going anywhere. On the contrary, they’re only going to become more commonplace. As you can see, there are so many advantages of mobile apps for even the smallest of businesses. Having a way for your audience to access your company whenever and wherever they want is helpful for them and provides countless advertising potential for you. 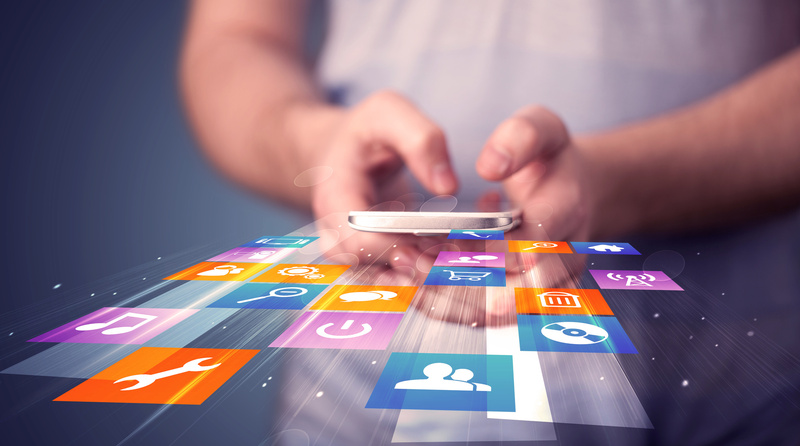 If you’re ready to step up and create a great new mobile app for your business, get in touch today. Your audience is waiting.